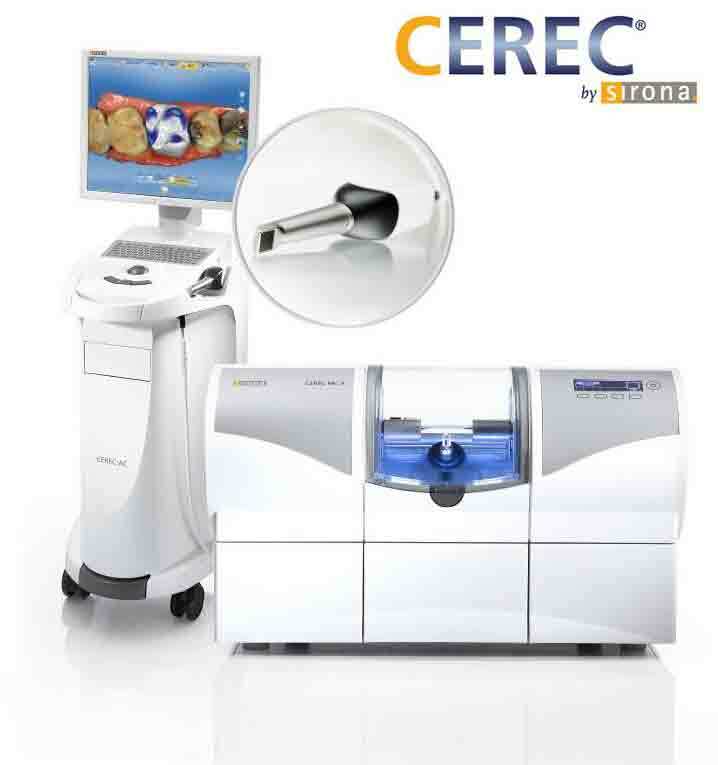 The future of dentistry is here with CEREC technology. Gone are the days when cosmetic and restorative procedures required weeks of waiting for restorations to arrive from the dental lab. Now dental crowns, inlays, onlays and veneers can be completed in a single appointment, in as little as an hour and a half! Using CEREC technology, dental restorations can be custom fabricated to blend into the shade and shape of your natural teeth in just one appointment. CEREC uses innovative CAD-CAM technology (Computer-Assisted Design—Computer-Assisted Manufacture) to custom fit and create your tooth precisely. With CEREC’s CAD-CAM technology, your dental restoration is made by computer while you wait in the dental chair. Best yet, there is no inconvenience of a second appointment, no impressions and no temporary crowns that may fall off. This technology also allows Dr. Mulkin to conserve your natural tooth material. At Lake Country Dental, we prescribe CEREC dental crowns (or caps) when the majority of the tooth surface becomes so badly damaged it is at risk for splitting. Dental crowns are used to help stabilize a tooth when more than 50% of the natural chewing surface has been lost. CEREC dental crowns are made in the office in one visit, saving considerable time and inconvenience for the patient. Also, since CEREC crowns are made out of ceramic, they are durable and can be matched to the color of your existing teeth. CEREC restorations are the closest man-made equivalent to natural enamel. Think of it as “re-enameling” your tooth. CEREC inlays and onlays allow you to keep more of your natural tooth—no more whittling down of the tooth to a point just to restore with a crown. With the newest CEREC and bonding technology, we are able to replace only the missing tooth structure with the closest man-made material to enamel—ceramic—available. An inlay is similar to a filling and lies inside the cusp tips (in the middle part) of the tooth. CEREC inlays are custom-made out of ceramic to fit the exact measurements of a prepared cavity and are then cemented into place. They are much harder and last longer than composite resin fillings. Fabricated and placed just like an inlay, onlays are used for more extensive reconstruction that can cover one or more cusps (or outer part) of a tooth. Onlays are typically used when a substantial reconstruction is required but allows the doctor to maintain as much of your natural tooth as possible. Learn more about dentist Lisa Mulkin, DDS, her practice philosophy, and her dedicated dental team. Download new patient forms and learn more about our office, appointment scheduling and more.